Have you ever searched for anything on Google? Of course, you have! Think about how often you click on one of the first few links that are shown, see what you were looking for, and then move onto something else. Now think about how often you keep going all the way to the sixth or seventh page of search results (if you ever did) and then decide to make a purchase there. You do NOT want your website to be on one of those high numbered pages when your potential customers are searching Google for the services that you offer! You have spent many hours making sure that your website looks perfect, the conversion process is streamlined, and all of the information that your customers could ever want is right there waiting for them. So how do you get your awesome website onto that first page of results so that searchers will actually see it? Every website that exists is crawled by Google so that they can check out the content, the structure, and the intent. They take that information and index it so that when someone conducts a search they can offer the most relevant site. 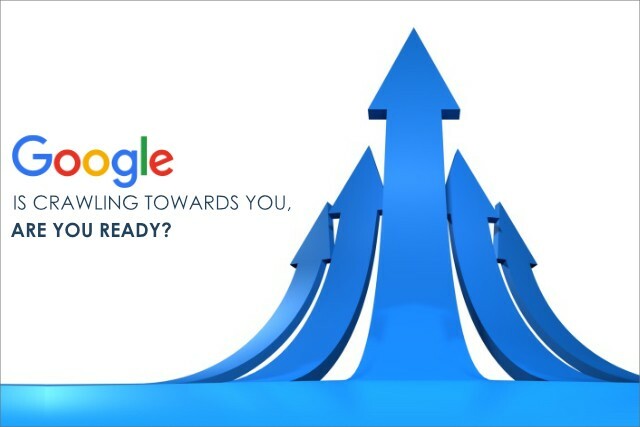 SEO ensures that your website is ready for Google to do it’s crawl so that your site will be visible when potential customers are searching. Finally letting the world see your great website and your great business.